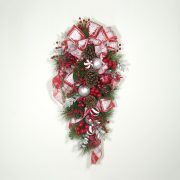 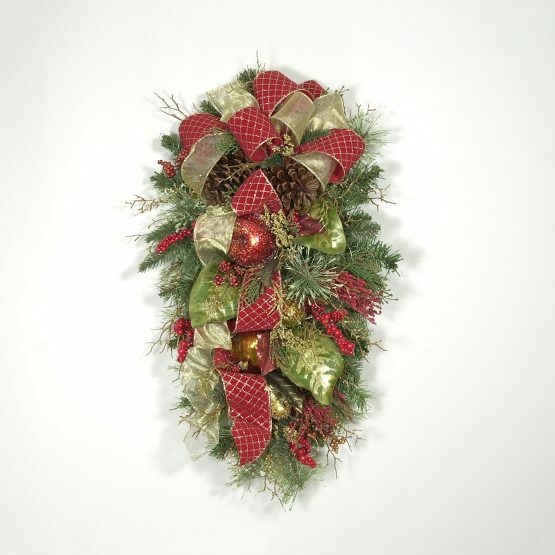 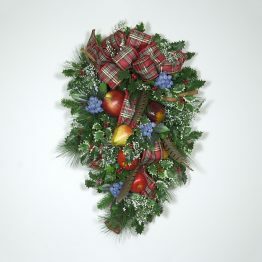 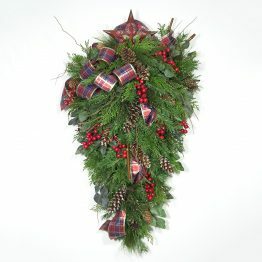 Elegant vertical Christmas swag, beautifully decorated with gilded fruit, red berries, and gold-glittered twigs. Enhanced by large pine cones, gold laced magnolia leaves, and a red and gold ribbon and bow. 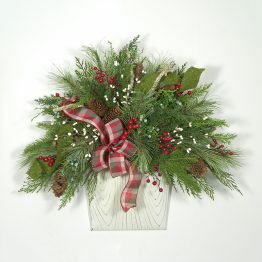 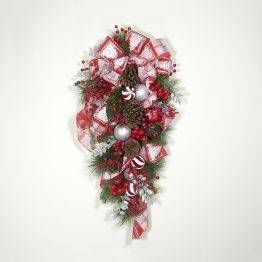 Perfect indoors to celebrate the holidays, or on a covered front door to welcome friends and family.